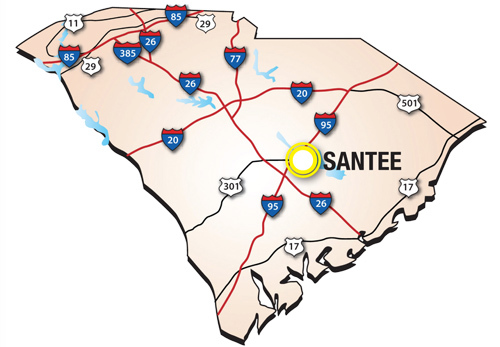 Santee is the easiest golf destination to navigate. The Santee Cooper Lakes System: Two lakes, two rivers, two canals, a vast swamp and 450 miles of shoreline. Lakes Marion and Moultrie are famous as the home of the landlocked striped bass. Palmetto Trail: Six passages run through Santee Cooper Country from just north of Awendaw on the coast to Manchester State Forest in Sumter County. Click Here for 2018 Information!